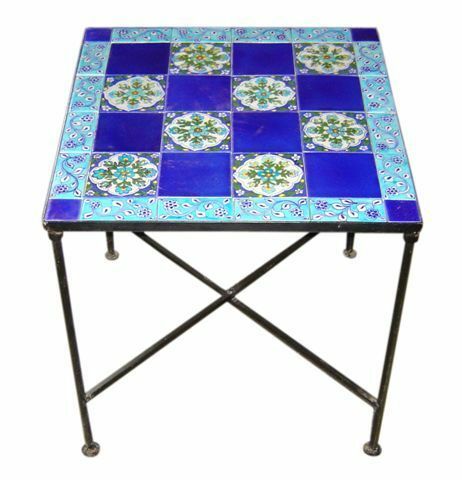 Neerja Iron Pottery Tile Table, Beautiful Hand Painted Blue Pottery Tiles Carefully Fitted on Iron Table. The Table is 20X20 Inch. and it Consists of 16 pcs of 4X4 Inch. Tiles, 16 pcs of 2X4 Inch. Tiles and 4 pcs of 2X2 Inch. Tiles.